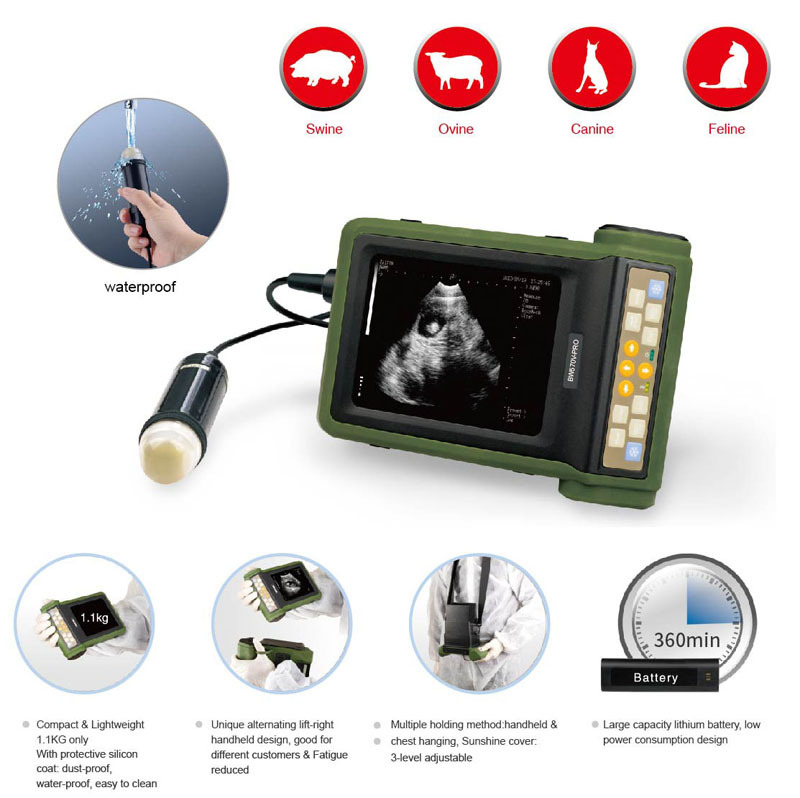 This digital veterinary ultrasound scanner, also named digital ultrasound for companion animals is a highly cost-effective system, ideal for pet owners and breeder, veterinary service center, that needs an affordable light-weight ultrasound scanner with a small-budget. *Swine's Back fat and Lean percentage calculated automatically. *High-capacity lithium Battery supporting-hour operation. *Standard configuration 1 pc of sunshine cover, suitable for use in outdoor strong sunshine. *Available for left/right hand alternative use, eliminating operate fatigue. *Multiple use method: hand-held, chest hanging, back hanging , waist hanging, etc. *With protective soft rubber coat, splash-proof, dust-proof design.